After removing beef from pan, scrape all brown particles from pan, and pour particles and drippings into bowl or glass measuring cup. 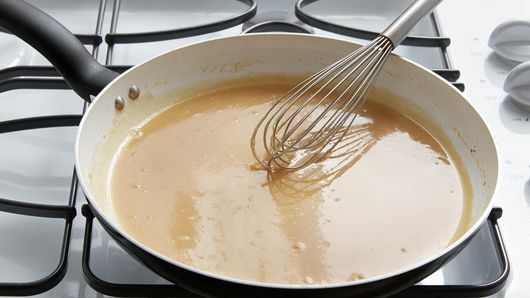 Skim 2 tablespoons fat from top of drippings; add fat to 1-quart saucepan. Discard any remaining fat; reserve remaining drippings. Stir flour into fat in saucepan. 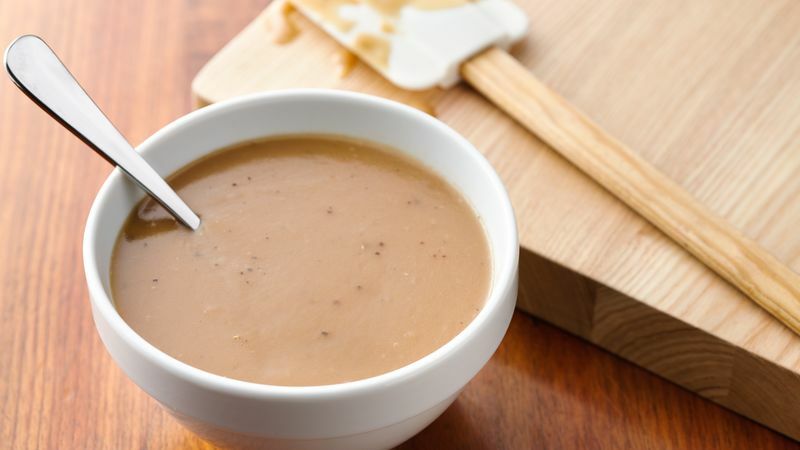 Prepare gravy using any boneless beef pot roast, such as a rump, bottom round, shoulder or arm roast. 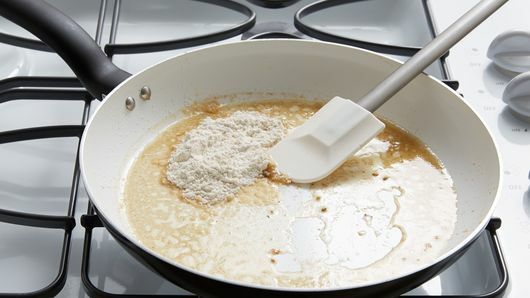 To prevent lumps in the gravy, make sure the flour is completely blended into the fat in the saucepan. Use a wire whisk or fork to blend well.